Diapharma is planning to attend the 60th American Society of Hematology (ASH) Annual Meeting & Exposition this year. Please click here to schedule a meeting with us or email us directly. The 60th ASH Annual Meeting and Exposition will be the world’s most comprehensive hematology event of 2018. The meeting will provide an invaluable educational experience and the opportunity to review thousands of scientific abstracts highlighting updates in the hottest topics in hematology. More than 25,000 hematology professionals from every subspecialty will attend. 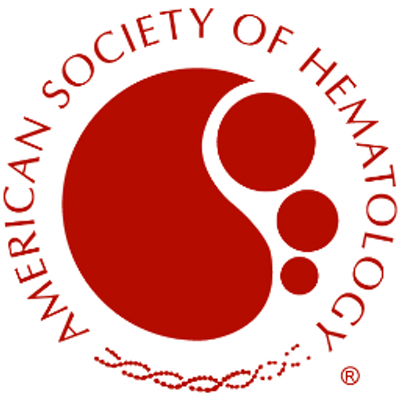 The American Society of Hematology (ASH) is the world’s largest professional society concerned with understanding, diagnosis, treatment, and prevention of disorders affecting the blood, bone marrow, and the immunologic, hemostatic, and vascular systems, by promoting research, clinical care, education, training, and advocacy in hematology. ASH is dedicated to helping hematologists conquer blood diseases. The field of hematology has experienced a recent surge in progress thanks to novel technologies, mechanistic insights, and cutting-edge therapeutic strategies that have driven significant and meaningful advances in the quality of care. These foundational insights are reframing modern research with the continued goal of improving outcomes and discovering cures for the most challenging hematologic diseases. Whereas certain blood disorders have benefited from the tremendous progress in clinical research and development of new therapies, other areas have continuing challenges such as disease heterogeneity and the complex combinations of genetic drivers that have evaded effective treatment to date. A wide variety of blood-related diseases – from malignancies such as lymphoma and leukemia, to non-malignant diseases including hemoglobinopathies, blood platelet, and coagulation disorders, including orphan diseases of the hematopoietic system – continue to be associated with significant morbidity and mortality and demand attention to reduce their burden and improve the quality of care worldwide. Today, the research community looks to emerging technologies and tools in the areas of genetics and epigenetics, gene therapies, and regenerative medicine to identify areas that have strong potential to make a dramatic impact on patient care across a range of diseases. The ASH agenda serves as a roadmap for the prioritization of research support across the hematology community, including recommendations for dedicated resources from funding agencies and foundations that will equip researchers today and in the future to make truly practice-changing discoveries. These specific and critically important research questions must be answered to gain the insights that will launch the field into the next generation of care for hematologic conditions. ASH publishes Blood, The Hematologist, ASH Clinical News, ASH Self-Assessment Program, and the Hematology ASH Education Program.